Humans are designed to use their senses to detect, explore, and understand the outside world and ourselves. We often follow the seeing is believing manta, but when it comes to health we have to rely on our providers and advanced tools to help us detect disease. Many painful and urgent dental situations can be avoided by routine brushing and flossing, a healthy diet, and REGULAR check-ups at your dentist. Just because you have a white smile doesn’t mean what’s lurking beneath isn’t harmful! And more importantly, once you think something is wrong you often require professional help to return your mouth to a state of health and happiness. 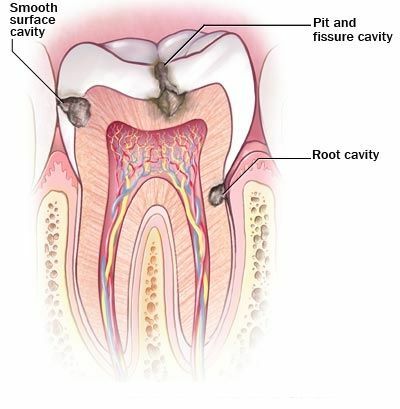 It is estimated that over 91% of adults in America have cavities. Cavities can form on the top, sides, and in-between teeth causing severe tooth pain. Dr. Jeremy B. Jorgenson and Lisa Thurm, RDH are experts at identifying tooth decay and helping you prevent it! At Advanced Dental Care, our staff knows that early detection and prevention can save tooth structure and avoid more in-depth procedures like root canals, dental crowns, and even extractions. We are dedicated to to ensuring you are doing everything possible to keep your teeth in a state of great health, even if you can’t see the decay. Routine check-ups are anywhere from every 6 months to every 3 months depending on the health condition of your mouth. Dr. Jorgenson and staff will give you all the tools you need to fight tooth decay and save your smile! Don’t let neglect be the cause of your tooth pain. Schedule your regular check-up today at or call us at (714) 793-0686.